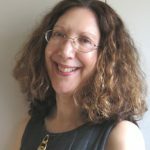 Nancy Naomi Carlson’s work has appeared in AGNI, the American Poetry Review, FIELD, The Georgia Review, and Poetry, among others. Author of the prize-winning poetry collection Kings Highway, as well as two chapbooks, she has published three volumes of translations from French, including The Nomads, My Brothers, Go Out to Drink from the Big Dipper by Abdourahman Waberi (Seagull Books, 2015). The recipient of a literature translation fellowship from the National Endowment for the Arts, she has also received grants from the Maryland State Arts Council and the Arts & Humanities Council of Montgomery County.